With Easter on it’s way, now’s the perfect time to visit the area and see the transformation spring has wrought on the landscape. There’s lots happening across Norfolk throughout March and April, here are a few of our highlights. There are few more iconic symbols of the spring than newborn lambs. 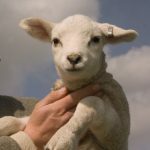 You and your kids can learn more about them at Snettisham Park, a fantastic family friendly farm right on our doorstep. With more than 400 lambs to look after, the team at Snettisham are very busy. You can go along and help to feed the orphan lambs and learn more about the sheep and their families. If you’re very lucky, you may even be able to watch a live lambing while you’re at the park. As Snettisham is just a stone’s throw from the King William, you can stop in for a meal or a drink once you’ve had fun at the farm. 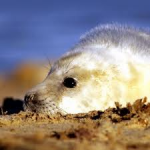 Sticking to a nature theme, spring is also the best time to see the seal pups at Blakeney Point. One of the best ways to see the seals is from the water. Boat trips take passengers close to many of the best seal locations so you can get great views and great photos of the pups and their parents. Alternatively, if you’d rather stay on dry land, you can explore the Blakeney National Nature Reserve on foot. Pop in for a drink to find out more. Much of the Norfolk landscape turns bright blue in the spring months with the arrival of the bluebells. There are lots of places to see these colourful blooms, one of the best spots is Walsingham Abbey. Just ask and we’ll be able to point you in the right direction. In the summer, many of the beaches in Norfolk don’t allow dogs on the sands. 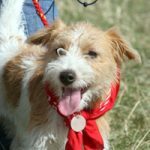 However in the springtime, before the summer crowds arrive, you’re free to take your four-legged friend for long walks on the county’s beaches. There are some beautiful stretches of sand in the area, drop in to the King William and we’ll share our local knowledge with you. This entry was posted in General News and tagged accommodation, beach, blakeney, blakeney national nature reserve, blakeney point, bluebells, boat trip, dogs, dogwalking, dogwalking on beach, drink, Easter, Food, lamb, lambing, Local, Norfolk, pets, Restaurant, seal pups, seals, snettisham park, walsingham abbey on March 29, 2017 by Lili Skerritt.